We are the leading manufacturer and supplier of Packaging Pallets to our valuable clients. 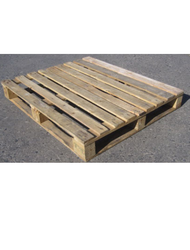 We offer our clients high quality of 4 Way Euro Pallet which are an ideal choice for packing and transporting big items. 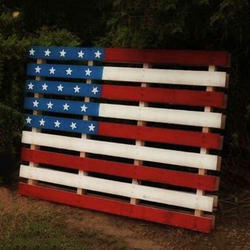 In the world of Painted Pallet, we are a leading name emerged as a winner in the market. It provides the strength and security of wood without harming the environment. These products from our end used for packed material gives outstanding protection during transportation, usage and storage. They decrease the use of expensive packaging material and are very easy to use. We have marked a distinct and dynamic position in the market by providing an excellent range of Stringer Pallet. Our entire range is manufactured using high-grade basic material and sophisticated technology by our skilled professionals. In addition to this, our offered range is quality checked under the supervision of our quality experts to ensure its flawlessness. 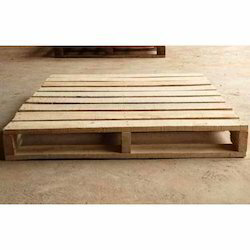 Pallet is a term referred to the flat transport structure which supports goods in a stable fashion while being lifted by a forklift, pallet jack, front loader or other jacking device. We have marked our name very strongly in the market with our Reversible Pallet. This product from our end is a pallet built with matching top and bottom board layout; the pallet can be on either side or work the same; Generally a 2-way pallet option. This one from our side is widely used in a number of different applications such as transportation and storage of goods. On-time delivery is something that is always a must on our list. Being a renowned organization in the market, we are engaged in offering an all-encompassing range of Packaging Pallets. 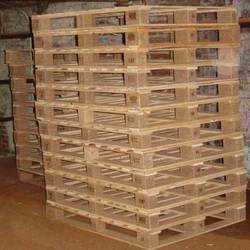 Provided pallets are available in a variety of sizes, designs, colours and patterns as per the requirement of our clients. 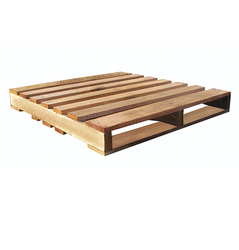 Offered pallets are used to store different kinds of goods and are perfect to be used for transportation. In order to deliver the defect free range, these pallets are checked against various parameters of quality.